During the previous housing boom (yes, we’re in a new one now), interest-only mortgages were a popular, yet lethal option for home buyers looking to keep monthly payments at bay. After all, with home prices surging and mortgage rates not nearly as low as they are today, it was difficult to qualify for a mortgage, let alone make a monthly mortgage payment. But as the boom quickly turned to crisis, these types of loans, much like option ARMs and other so-called “toxic” or “exotic” loans, exited stage left, abruptly. Fortunately, most of these loans never made it very far, thanks to the many loan modifications that took place, along with mass refinancing efforts. So that old interest rate reset chart turned out to be a lot less dramatic than it originally appeared. While it’s unclear if the option ARM will return, we now know interest-only loans are back in the mix. 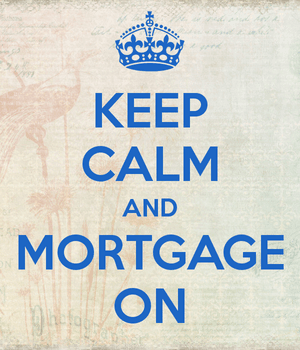 A new report from Inside Mortgage Finance (IMF) revealed that the once out-of-favor loans are gaining market share. Of the 15 lenders tracked by Inside Nonconforming Markets, IO production totaled $22.94 billion in 2012, an increase of 19.9% from a year earlier. Take it with a grain of salt, as production in 2011 wasn’t all that tremendous. The top interest-only lender was First Republic Bank, which originated $4.92 billion in IO loans during 2012. First Republic apparently doubled production year-over-year, focusing on wealthy clients who seemingly want to leverage their money. Figures from MortgageStats displayed a similar increase, though their coverage differs from that of IMF. The company indicated total IO production of just over $10 billion in the fourth quarter of 2012, compared to $5.5 billion in the final quarter of 2011. Flagstar led the way with $3.36 billion in production, followed by PHH Mortgage with $3.2 billion, and Union Bank with $1.5 billion. However, some larger lenders such as CitiMortgage, U.S. Bank, and Fifth Third Bank actually decreased production. Do Interest-Only Loans Make Sense Right Now? While production is up, interest-only loans aren’t for everyone, even with housing on the mend. With fixed mortgage rates as low as they are, and home prices back down to more reasonable levels, the average borrower shouldn’t need an IO loan simply to keep up with payments. Further, you’ll be qualified at the fully-amortized rate, so an IO loan is really only good for someone looking to leverage their money. That is, invest the money elsewhere or use it for some other purpose, such as buying another property (or two). During the housing boom, it was common for investors and other amateur speculators to pick interest-only loans for this very reason. After all, why pay off the mortgage if you’re just going to flip the property for MEGA profits in mere months? This ridiculous mindset led to the crisis when home prices finally took a dive. And those who made interest-only payments clearly didn’t gain any home equity. I suppose even those who did make fully-amortized payments wound up with no equity, depending on when they purchased the property, or at what inflated value they chose to execute their cash out refinance. Times are a bit different now though. Home prices appear to have bottomed, and decent appreciation is in the forecast. So individuals who know what they’re doing might be a lot more tempted to go with an interest-only loan, especially considering how cheap rates are at the moment. As noted earlier, they can leverage this cheap mortgage money to invest elsewhere, pick up more properties, or pay down more expensive debt. This is pretty much the purpose of an IO loan, not to qualify borrowers who don’t belong in homes to begin with. That’s where it all went wrong in the first place. Creative financing typically reserved for investors and wealthy individuals became the standard for every American homeowner. For those who plan to stick around in their home for years to come, going with a fully-amortized fixed mortgage probably makes a lot more sense, as you won’t have to deal with a big recast (jump in monthly payment) once the IO period comes to an end.